We review the recent literature regarding the implications of gender on the diagnosis and treatment of autism spectrum disorder (ASD) in women and adolescent females. We also discuss important clinical observations in treating this population. Growing research supports gender specificity in ASD symptom presentation. Differing phenotypes, psychiatric co-morbidities, and level of “camouflaging” (behavioral coping strategies to conceal symptoms for use in social situations) are thought to further contribute to the discrepancy in prevalence rates and resulting misdiagnosis or delayed diagnosis in adolescent females and women. Both nosological and cultural factors appear to be contributing to differences in the diagnosis of ASD in women. These differences in presentation have important implications for late diagnosis, treatment of ASD, and the quality of life for women with autism. • Lai M-C, Lombardo MV, Pasco G, Ruigrok ANV, Wheelwright SJ, Sadek SA, et al. A behavioral comparison of male and female adults with high functioning autism spectrum conditions. PLoS ONE. 2011 [cited 2018 Jul 3];6. Available from: http://ezp-prod1.hul.harvard.edu/login?url=http://search.ebscohost.com/login.aspx?direct=true&db=psyh&AN=2011-14242-001&site=ehost-live&scope=site. A behavioral comparison between sexes found women with high-functioning ASD to show more lifetime sensory symptoms, fewer socio-communication difficulties, and more self-reported autistic traits. Safety Skills for Asperger Women: How to Save a Perfectly Good Female Life by Liane Holliday Willey [Internet]. [cited 2018 Jul 31]. Available from: https://www.goodreads.com/book/show/11187137-safety-skills-for-asperger-women. • Wood JJ, Klebanoff S, Renno P, Fujii C, Danial J. Chapter 7 - Individual CBT for anxiety and related symptoms in children with autism spectrum disorders. In: Kerns CM, Renno P, Storch EA, Kendall PC, Wood JJ, editors. Anxiety in Children and Adolescents with Autism Spectrum Disorder [Internet]. Academic Press; 2017 [cited 2018 Jul 31]. p. 123–41. Available from: http://www.sciencedirect.com/science/article/pii/B9780128051221000077 A chapter reviewing the effectiveness of CBT therapy in treating both children and adults with ASD. • Mason D, McConachie H, Garland D, Petrou A, Rodgers J, Parr JR. Predictors of quality of life for autistic adults. Autism Research [Internet]. [cited 2018 Sep 23];0. 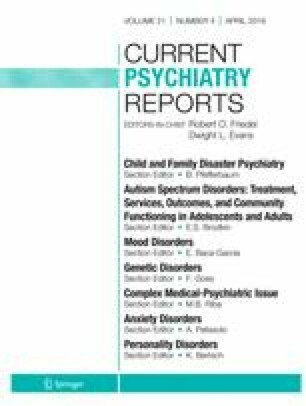 Available from: http://onlinelibrary.wiley.com/doi/abs/10.1002/aur.1965 This study includes the largest study sample to date examining the quality of life of individuals with ASD and examines gender differences.